PITTSBURGH, PA., Jan 24, 2017 (GLOBE NEWSWIRE) Petrosoft announces that it has chosen Intel® as its chip supplier for its next generation of retail Site Integration Network solutions. The chips will power the facility-level terminals which connect on-site retail devices such as IoT sensors, forecourt controllers, POS, ordering kiosks, loyalty, kitchen display units, and ATGs to Petrosoft’s Site Integration Network. “As the worldwide leader in semiconductors, Intel® was a natural choice as a supplier. 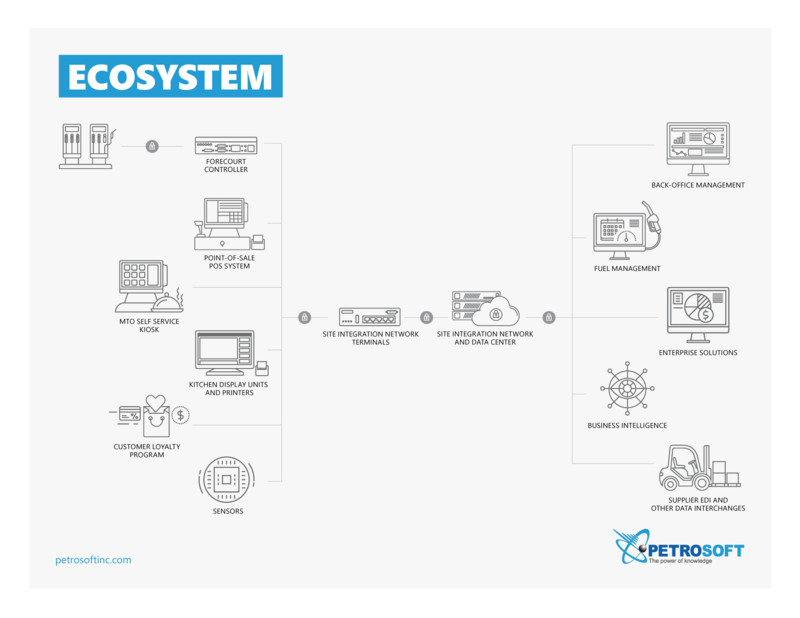 They deliver the chip performance needed for real-time business intelligence no matter where the solution is deployed,” said Sergei Gorloff, CEO and President of Petrosoft. Petrosoft began developing its Site Integration Network in 2007. Originally, the solution provided a secure connection between facility-level devices such POS and ATGs systems to back-office solutions to track inventory, sales, tank fuel levels, and price book changes. As retail technology has evolved so has the Site Integration Network solution, creating the need for a powerful processor to run on its terminals.